SDS 9th Annual National Convention to be hosted in MPLS – REGISTER NOW! We are happy to announce that Students for a Democratic Society at UMN – Twin Cities will be hosting our annual national convention in Minneapolis, MN OCTOBER 11TH AND 12TH. While much of the organizing is still in the works, we want YOU TO REGISTER NOW! NOT A MEMBER OF SDS, BUT WANT TO TABLE? REGISTER A TABLE HERE! Is your organization interested in tabling at the convention? Please email umnsds@gmail.com for information about sliding scale fees and accomodations, or register your table HERE. Support the 2014 SDS Nat’l Convention! Donate to SDS! Now we need your help. 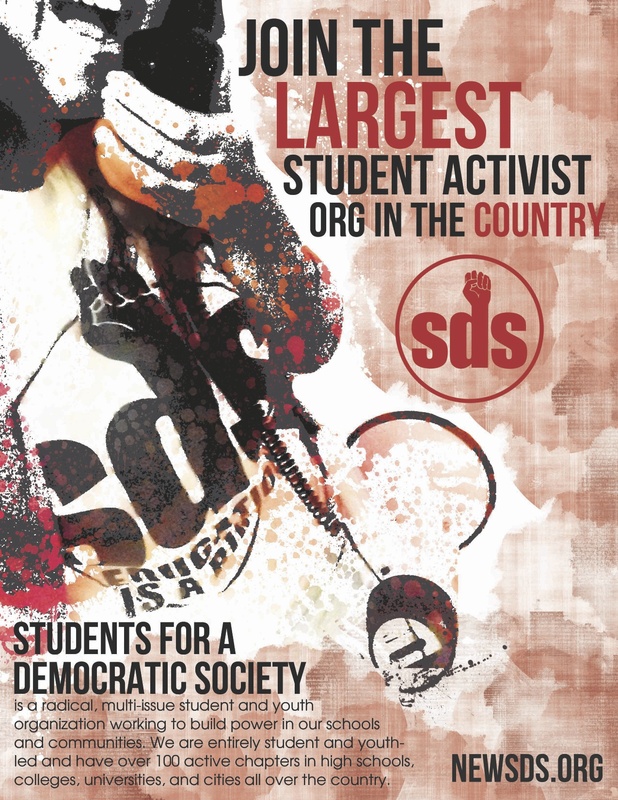 On October 10th – 12th in Minneapolis, MN, SDS will host our 9th annual national convention at the University of Minnesota. Our annual national convention provides a platform to debate ideas in the public forum, hold workshops to learn from students who engage in struggles around the country, grow the student and youth movement by attracting new activists and organizers, and ultimately forge ahead towards a future free of war and oppression with a respect for human rights and dignity. However, with the rising costs of education that leads many students permanently into debt, many of the students who are struggling just to stay in college won’t be able to attend the convention and fight for change without your donation. Your contribution will help provide a formative experience in a young person’s life that will have a lasting effect on their social and political consciousness.